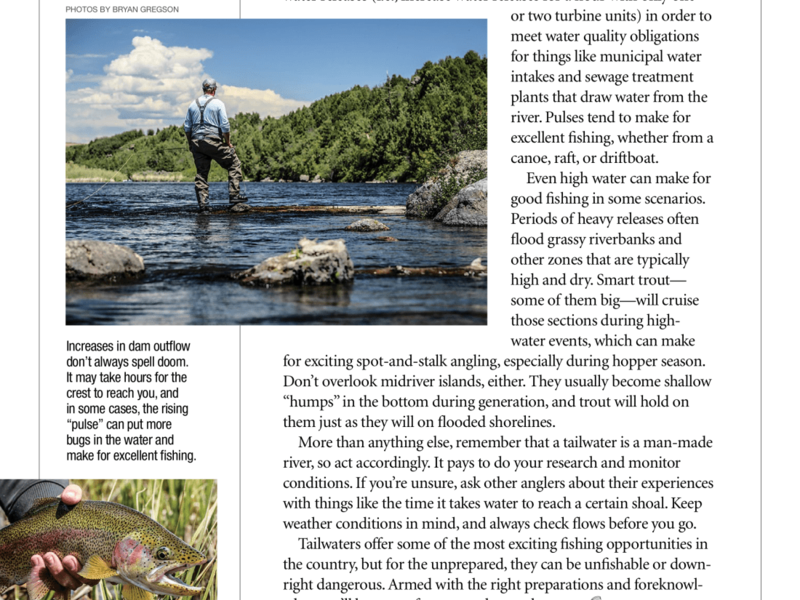 The new issue of American Angler Magazine is now on newsstands. 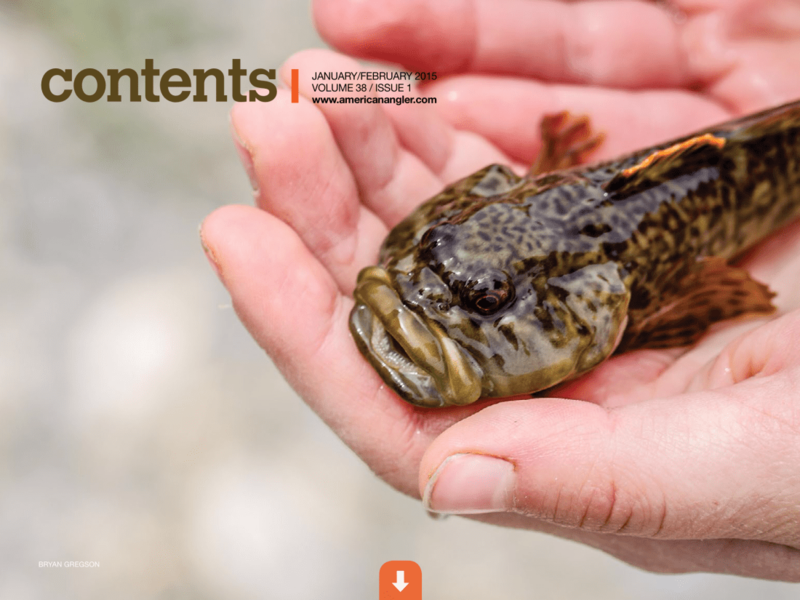 I’m very happy to see my image of a giant sculpin from the Henry’s Fork River on the Table of Contents page. They are such amazing little fish. 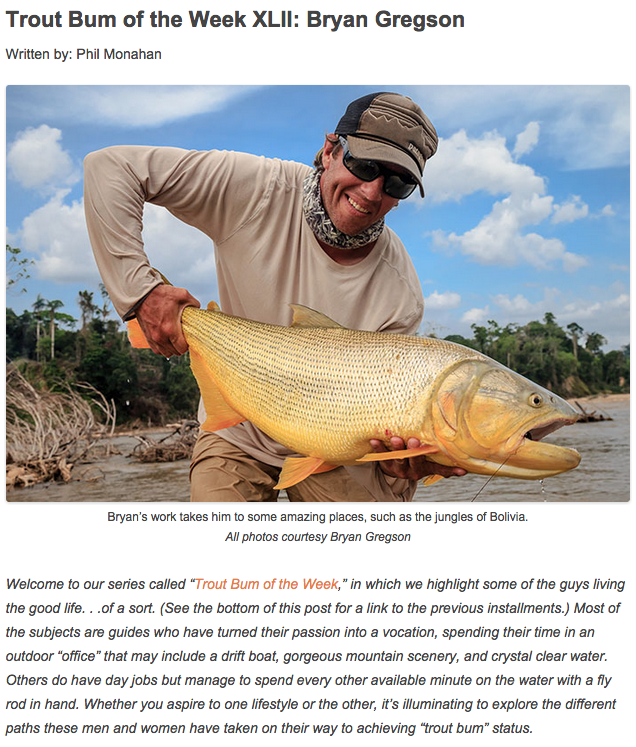 A few others made it to print, to compliment an article. 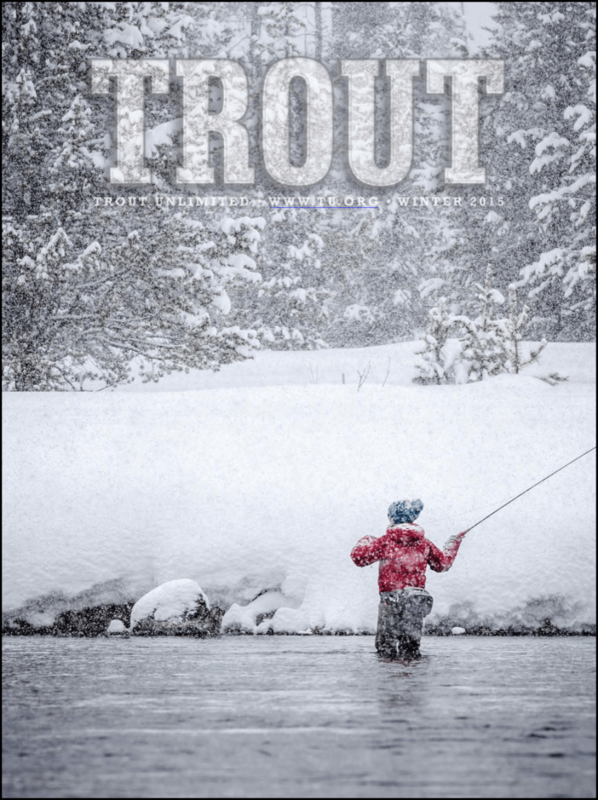 Angler Brandon Prince and a spotty rainbow trout.